Since we did not know exactly when the bus would leave, we were quite pleased with the timing when it arrived just as we got up to the main street around 8.30. The bus stopped by a small café a few hundred meters from the junction on the road towards Saranda, so it would not be too bad to have to wait there for a little while either. 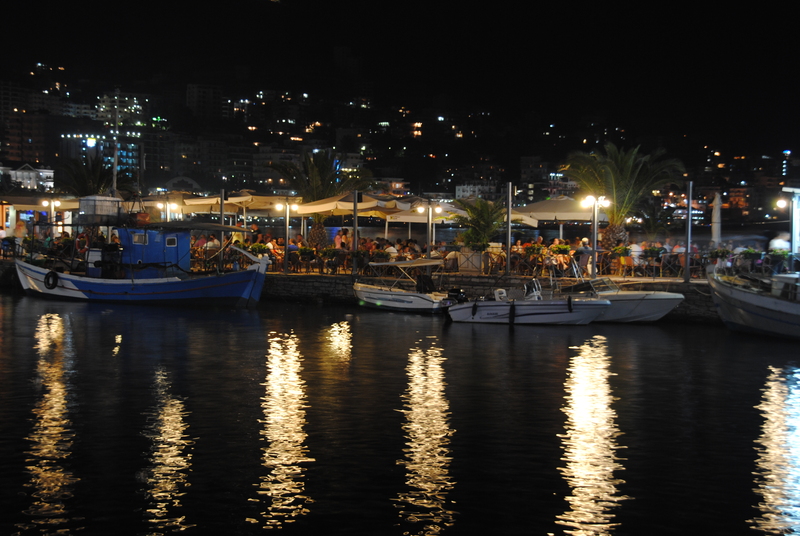 The trip from Dhermi to Saranda took just a little more than two hours. 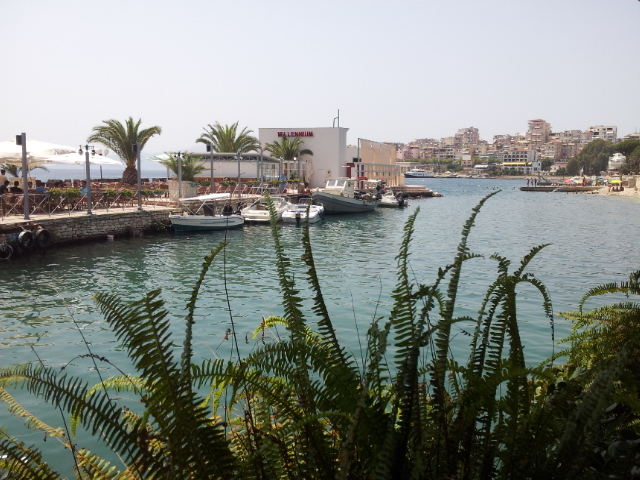 Saranda was the only place we had pre booked the hotel, but the moment we arrived we understood that that would not have been necessary at all! There were plenty of hotels, and many more were rising. We were quite disappointed as it was not at all what we had expected. 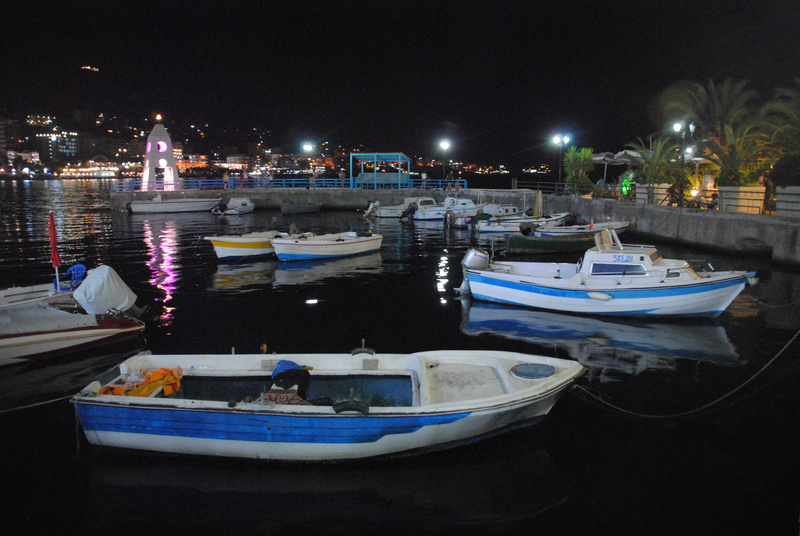 The only nice part of the city was the small port.